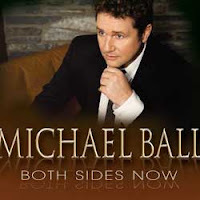 Michael Ball has been putting the finishing touches to his new album Both Sides Now which is due for release next month before he sets off on a new concert tour in April and May. He is also about to join Radio 2 in a brand new two hour Sunday night show which starts at 7:00 pm on 20th January. Sunday Night with Michael Ball offers a blend of music from the movies, classic albums, the West End and Broadway, iconic vocalists and contemporary favourites along with nostalgic popular favourites and modern greats. Listeners will be invited to nominate their chosen artist into the Singer’s Hall of Fame, into which Michael will induct two artists each week and celebrate their life in song and performance.